Well, Facebook finally did it. It finally responded to Wall Street's pokes and went public. 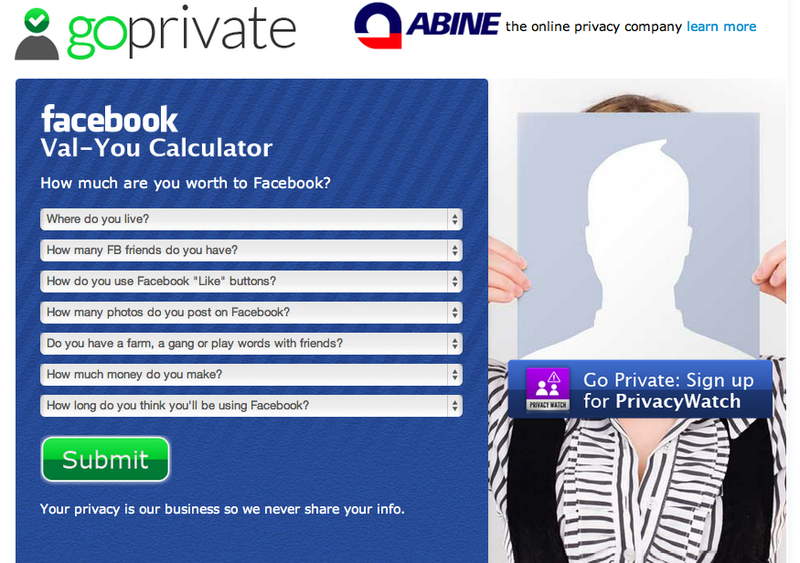 In light of this event, there can only be one question on your mind - how much monetary value does Facebook value you at? 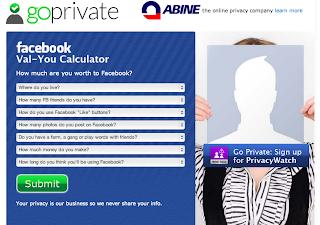 Now you can find out with Abine's "Val-You Calculator." Just answer a couple questions based on your activity and voila - that's how much your time-wasting hours are to Facebook.